Now that the new year has begun, it’s the perfect opportunity to make positive changes in your life. And if you need help achieving your personal development goals, you can pick up a copy of world-renowned Yogi Master (Gurudev) Amrit Desai’s latest book, Embodying the Power of the Zero Stress Zone, now available on audiobook, and edited and compiled by motivational speaker Peggy Sealfon of Peggy Sealfon- Stonewater Studio. Yogi Amrit Desai has been teaching yoga since 1960 and is renowned as one of the earliest and leading pioneers in spiritual and emotional personal development. The book is an internationally-recognized Spiritual Master’s step-by-step guide to reducing stress and achieving happiness in all facets of life. Through its instruction, you will learn how to free yourself from self-destructive habits and transform your physical, mental, and spiritual being. 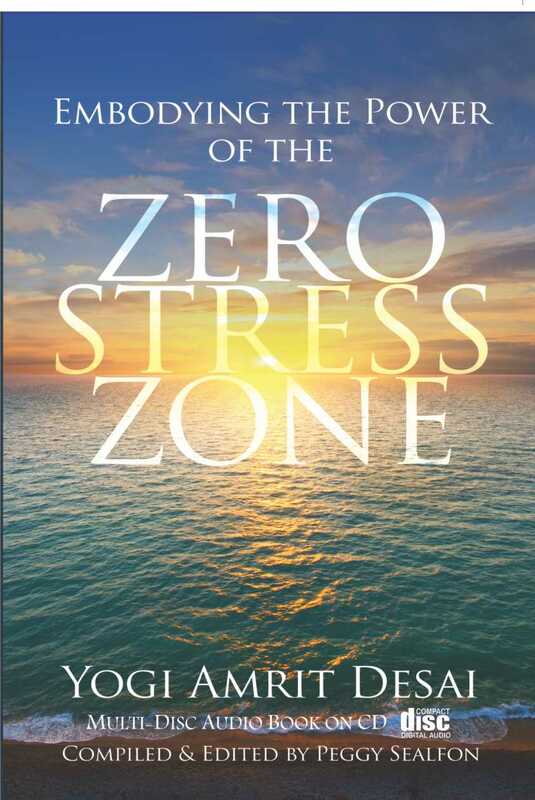 This book also reveals the secrets of how to live in the effortlessness of the zero stress zone, through sacred teachings that can be applied to your everyday life. Published on January 12th, 2017, the book has just been released as a 6-CD audiobook. Whether you need extra motivation while working out at the gym or some spiritual uplift on your morning commute to work, you can quiet your mind and allow the soothing narration to take over. If you’re looking to order a physical copy or an audiobook of Embodying the Power of the Zero Stress Zone, visit Amazon or Barnes & Noble. The editor, Peggy Sealfon of Peggy Sealfon-Stonewater Studio, is also a life coach and motivational speaker who offers training and workshops across the country, along with a wide range of programs to help you relieve the stress and anxiety in your life. Contact her today at (239) 821-2266 to schedule your phone or Skype consultation, or visit the website for more information about her full list of services.